U.S. Rep. Beto O'Rourke reported payments to outside political firms on his latest campaign finance report, after initially announcing his campaign against U.S. Sen. Ted Cruz wouldn't hire consultants. 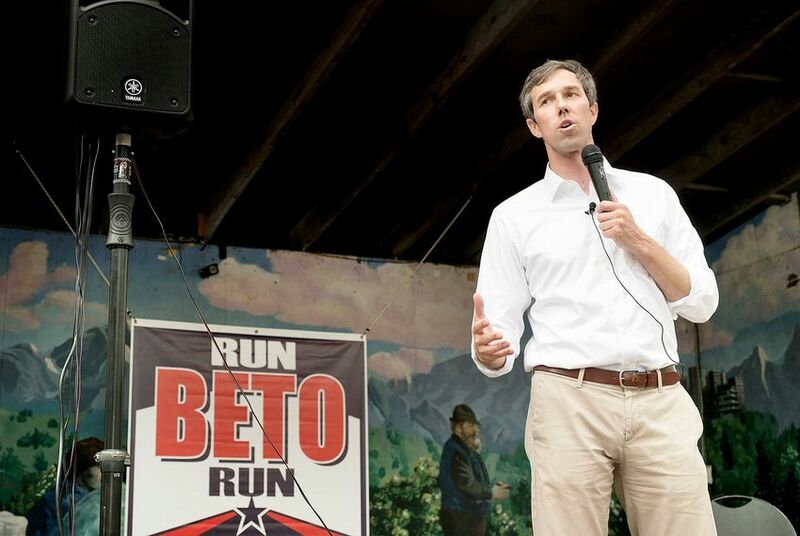 WASHINGTON — When he launched his campaign to unseat U.S. Sen. Ted Cruz last month, U.S. Rep. Beto O'Rourke declared to several reporters he would not hire campaign consultants. The El Paso Democrat framed the unorthodox strategy as an effort to run a campaign that remains true to his convictions. “Since 1988, when Lloyd Bentsen won re-election to the Senate, Democrats have spent close to a billion dollars on consultants and pollsters and experts and campaign wizards and have performed terribly,” O'Rourke told The Texas Tribune. "My heart’s in it, I want to do this, I'm driven to do it. I'm not poll-testing it. I'm not consulting with consultants," O'Rourke told the Dallas Morning News. But O'Rourke’s recently filed campaign finance report showed him using the services of two consulting firms in the months leading up to his campaign’s kickoff. When asked about how those expenses square with his aversion to consultants, O'Rourke clarified his earlier statements, explaining he would use vendors who can help with the "technical" aspects of a campaign, such as developing an email platform. But he will not hire consultants — like pollsters — who will test or dictate his messaging in any capacity, he said. O’Rourke spent a little over $6,000 on fundraising services from a firm called A.J. Goodman Consulting Corporation and just shy of $24,000 on Revolution Messaging, the digital outfit that helped fuel the rise and funding of U.S. Sen. Bernie Sanders’ 2016 presidential campaign, according to a campaign finance report covering the first quarter of 2017. "When I talk about this, I talk about the fact that we don’t take PAC money, we don’t take special interest contributions and we don’t take corporate cash," he told the Tribune in a Friday phone interview. "I don’t have consultants who tell me what to say or sharpen my message," he added. For instance, he said he only hired Revolution Messaging to manage his campaign's email platform and send messages he composes himself. "I think I’ve been pretty clear when I’m talking about this ... what I say and the things I believe in and the convictions I hold come from me." On the campaign trail on Saturday, O’Rourke offered an updated version of his no-consultants pledge. “I don’t have a pollster,” O’Rourke told supporters in Garland, according to a livestream of the event. "I don’t have a consultant who packages the message, tells me what to say, says, 'This is what Texas believes,' or 'You’ve got to tack to the middle to get to them over here.'" O’Rourke is challenging Cruz in the 2018 midterm elections. He could also face a competitive primary against U.S. Rep. Joaquin Castro of San Antonio, who is mulling a run of his own. Texas Congressional members return to Washington after a two-week recess this week and are on track to face a hectic storm of legislation. Castro faces a tough decision in the coming weeks. O'Rourke says he is throwing out the Democratic playbook in his longshot bid against Cruz.